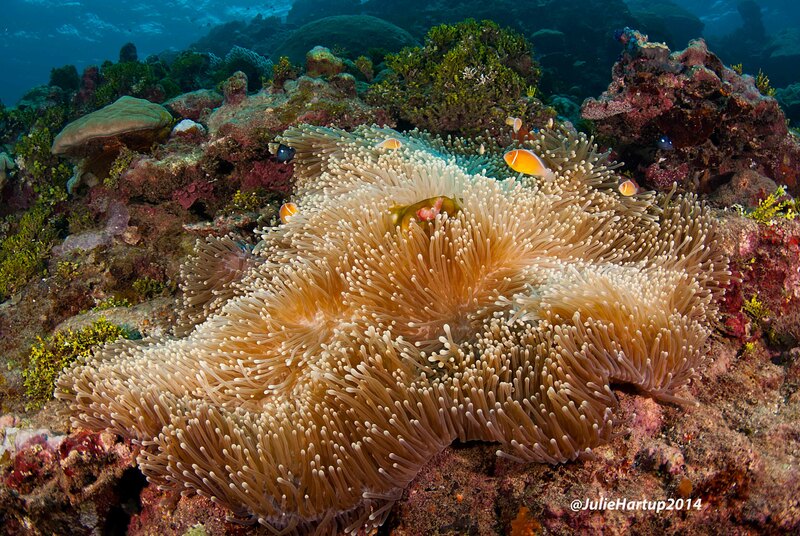 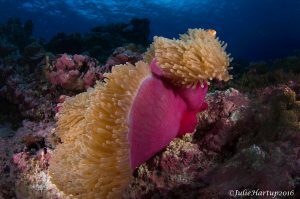 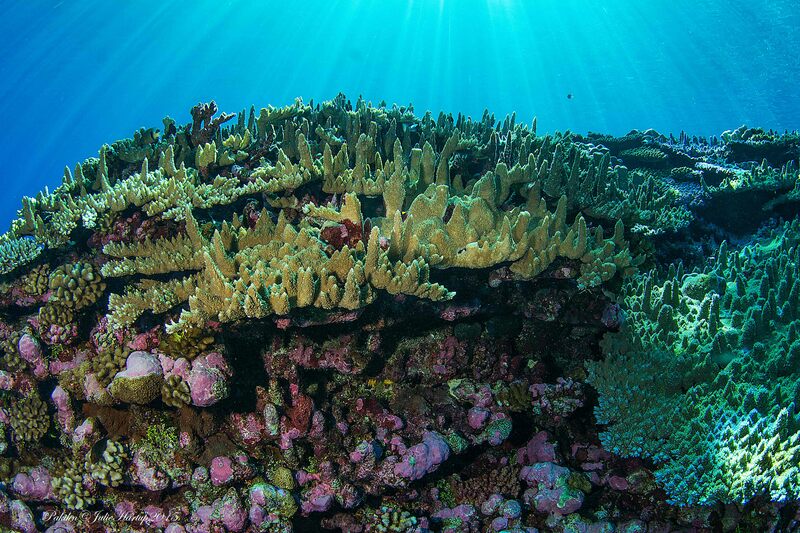 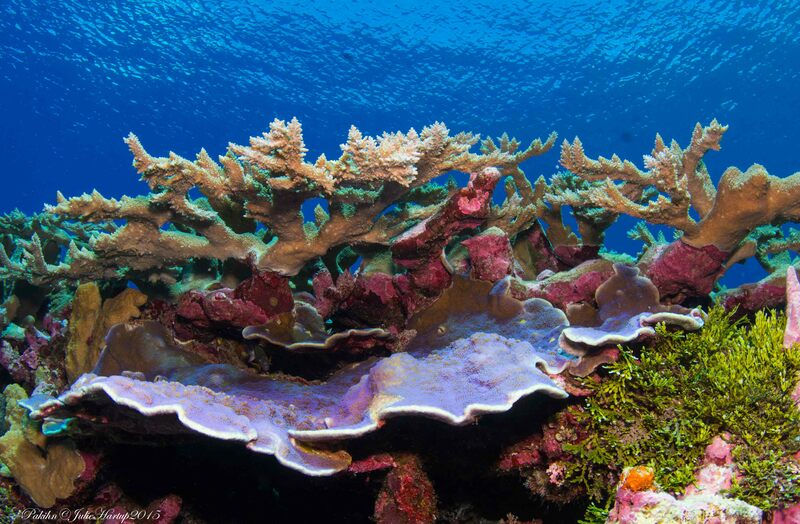 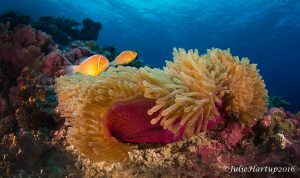 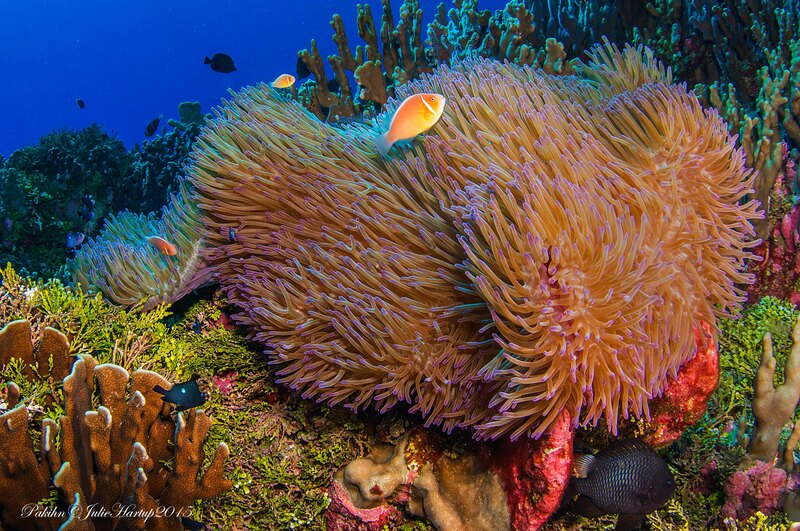 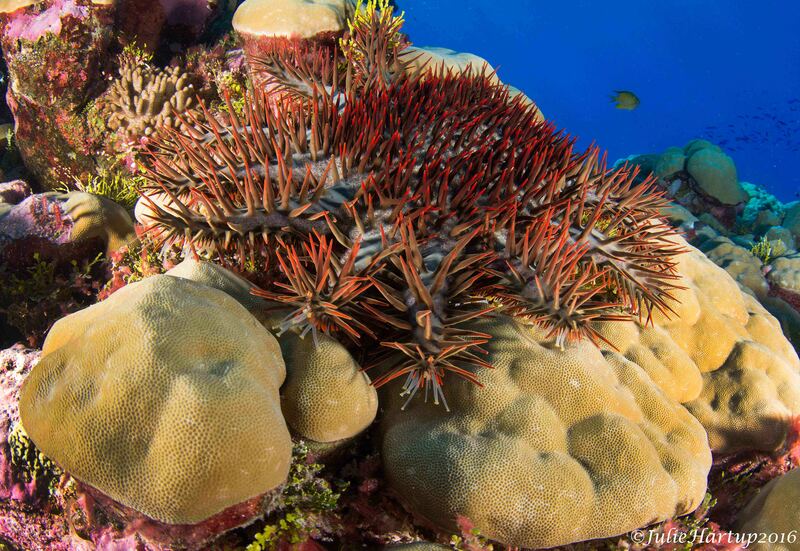 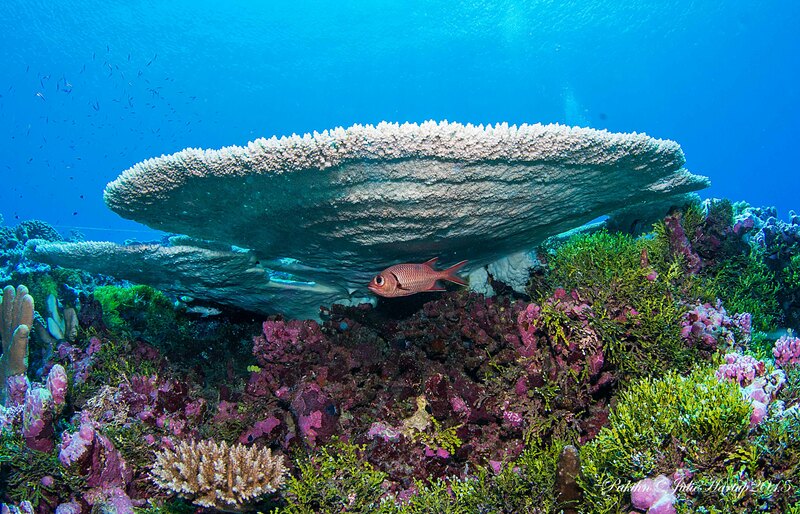 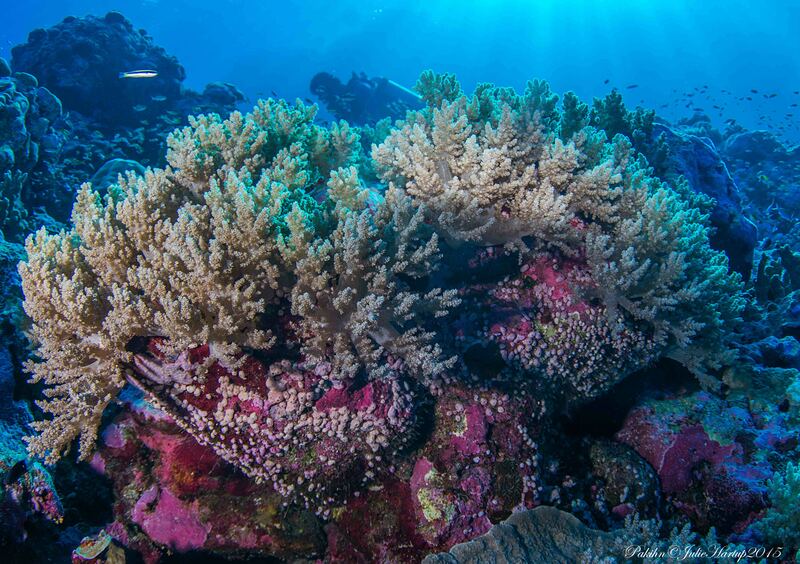 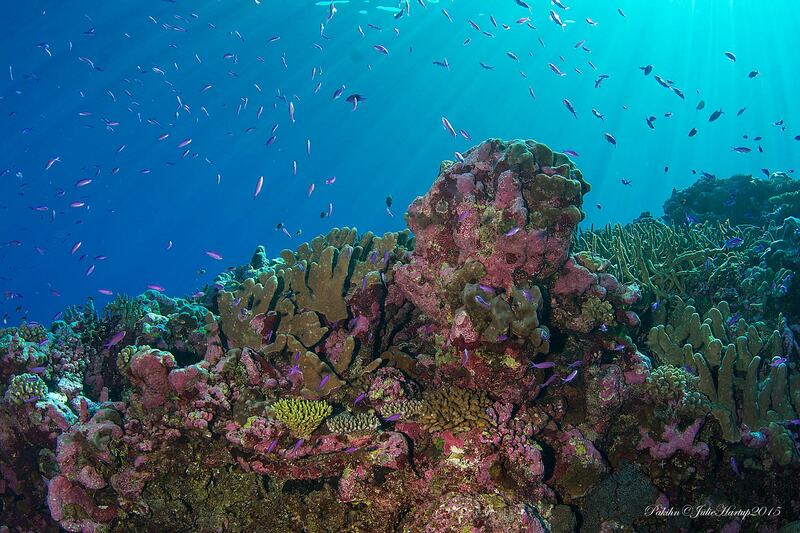 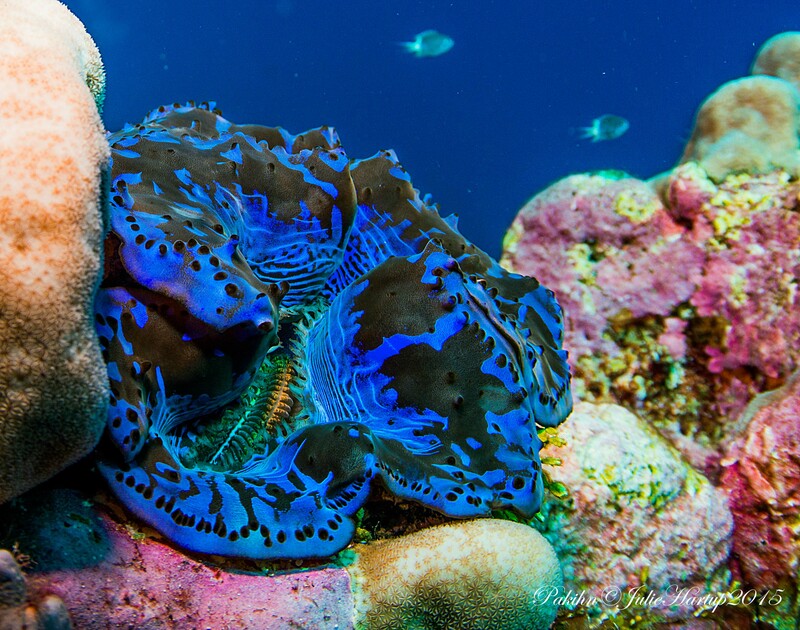 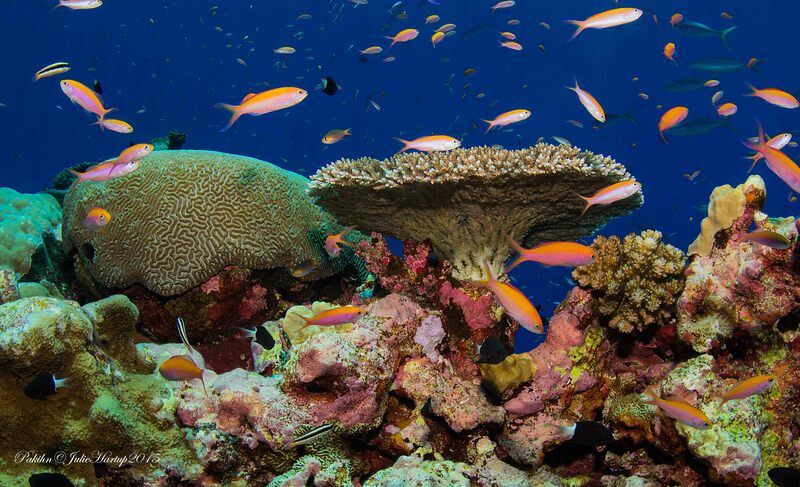 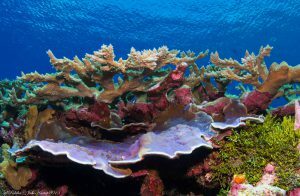 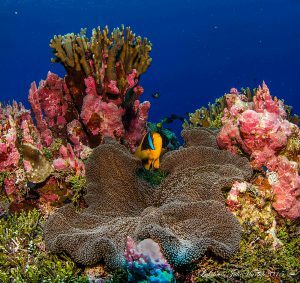 Pohnpei is the forgotten dive destination in Micronesia. 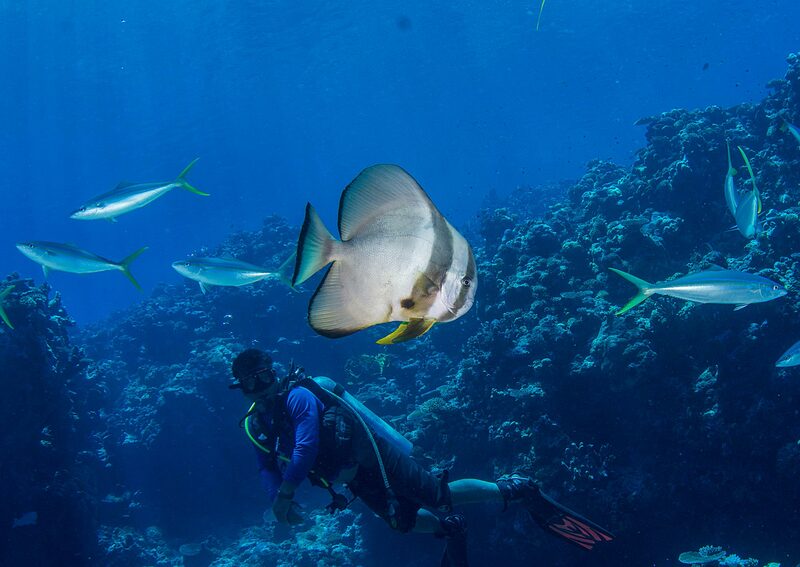 With a large lagoon and vast number of passes divers can always have their pick of day dive. Each pass you have a chance to seeing sharks, manta rays, schools of trevallies and barracuda along with other schooling reef fish. 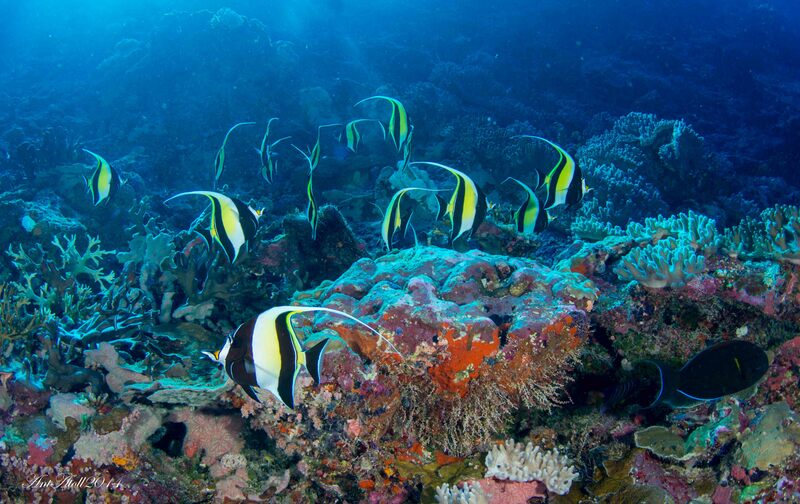 Pohnpei is a laid back diving destination. 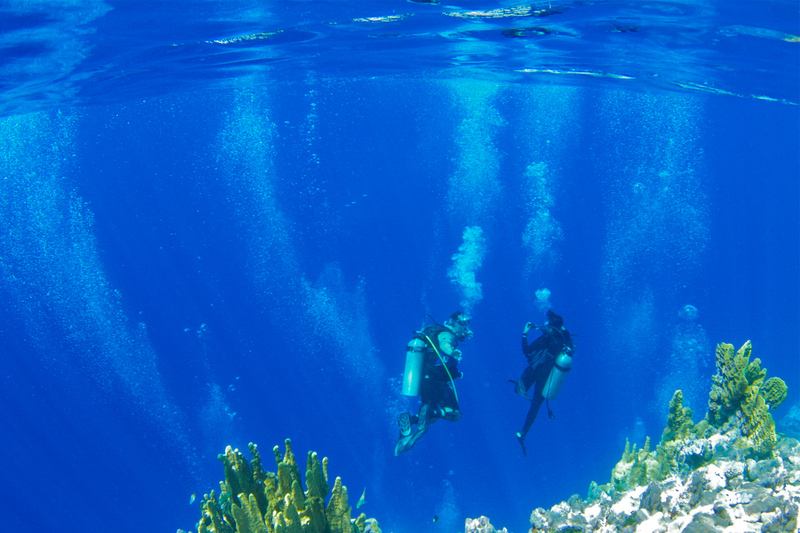 Lots of passes, drop offs and the outer atolls and best of all, hardly any divers in the water. 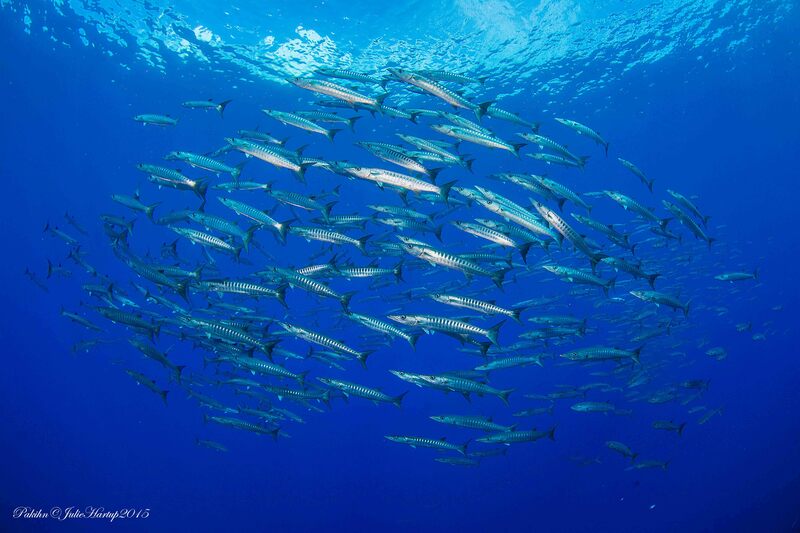 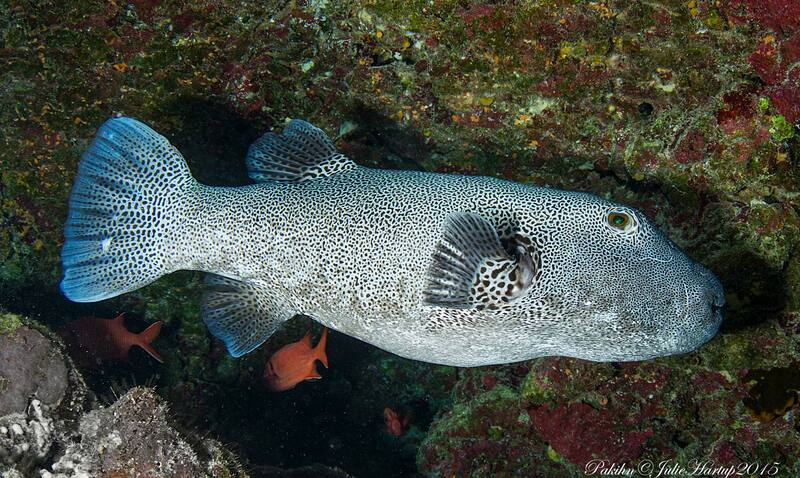 For most of our dives, your small group will be the only one you will see out there. 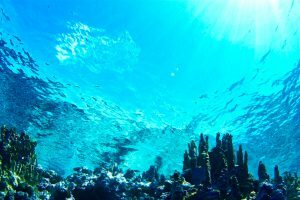 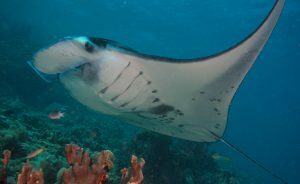 Not to mention top-notch world-class diving at the outer atolls, with many places to dive a short 10 minute boat cruise away. 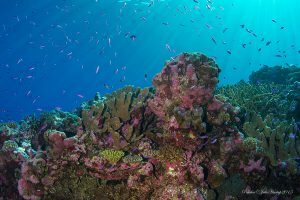 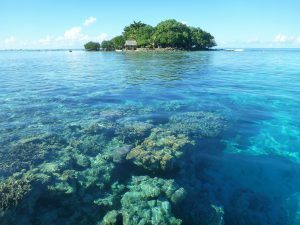 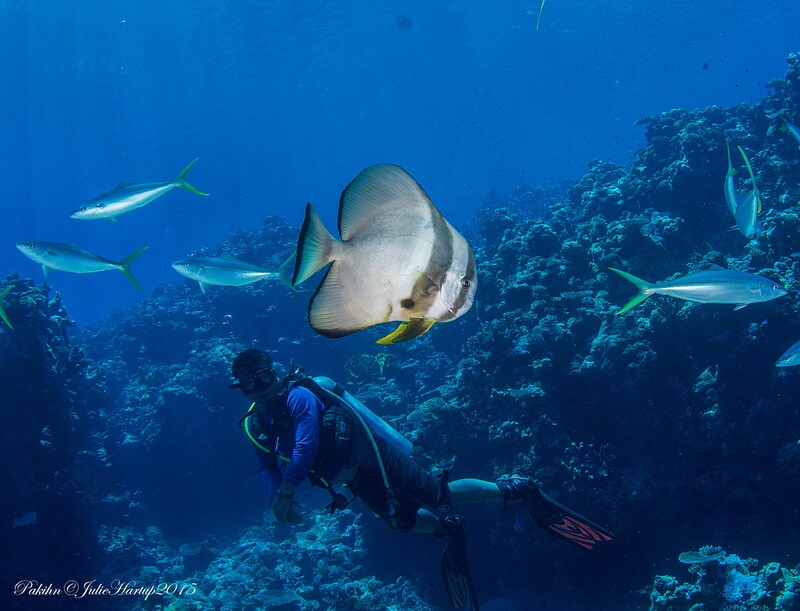 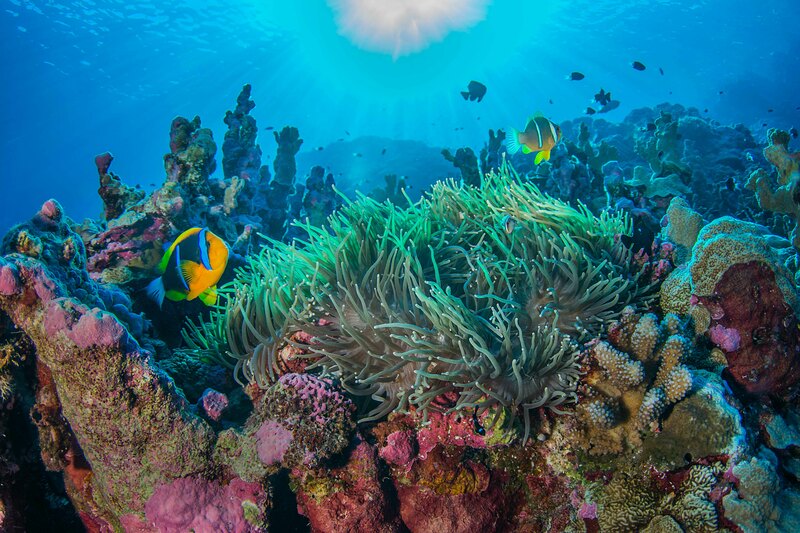 July through early November are the best times to visit Pohnpei for diving, with light or no winds, calm seas and easy access to most dive spots. 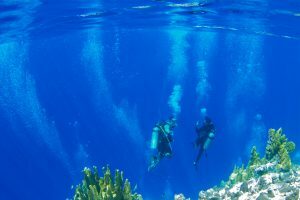 During the other months of the year, we mostly dive the north and west sides of the island (leeward side) for the best conditions. Save a dive day for Marine Protected Area, Ant Atoll. 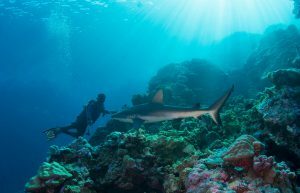 On an incoming tide divers will get treated to a drift dive paradise. 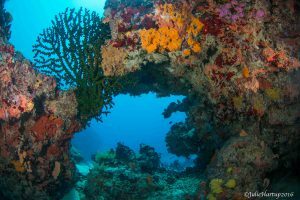 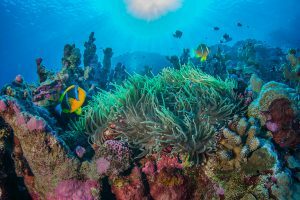 Slowly drifting through the winding channel marine life clings and hangs to the sides of the walls creating new colorful mosaic from hard and soft coral. 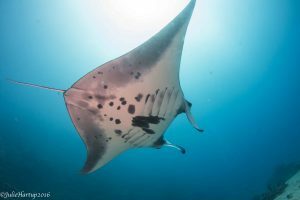 Divers find mixed species of schooling fish around each bend while sharks patrol, ending the dive near a manta ray cleaning station. In between dive enjoy siting on white sandy beaches for lunch, or taking a stroll along the shore, you might even play a game of checkers with guards stationed there to protect the MPA. 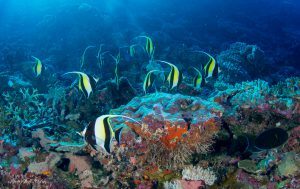 For more information on diving with us while in Pohnpei, please e-mail us at pnisurfclub@gmail.com or call us at 691 320 7845. You can also click on these links for more information on diving and other activities while in Pohnpei. 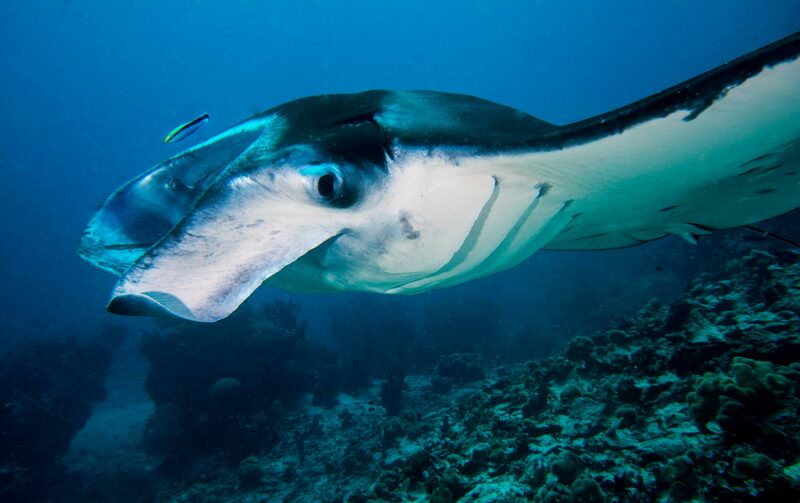 The Pohnpei manta ray population has over a 100 different individuals but is thought to be much larger. 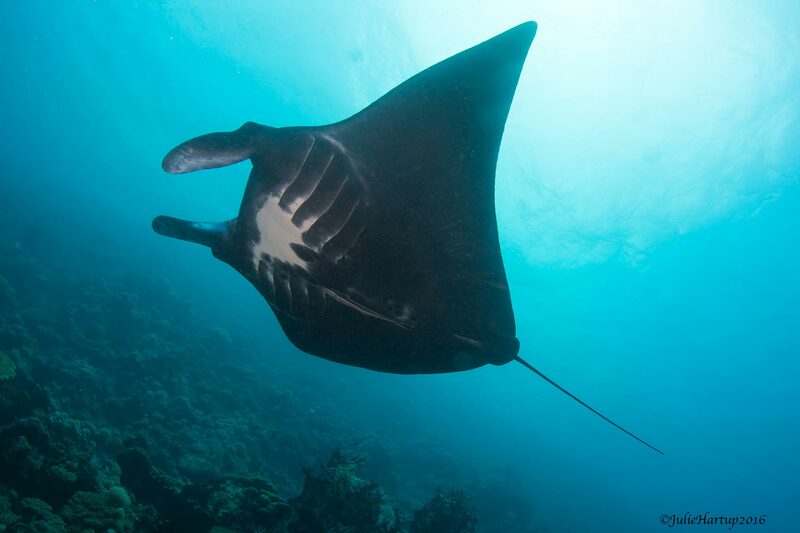 So far 40% are black morphs manta rays nicknamed the Pohnpei black beauties. 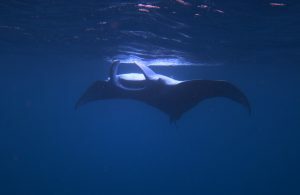 Black morph manta rays are just a different coloration all black with individual unique white pattern blotches on their bellies. 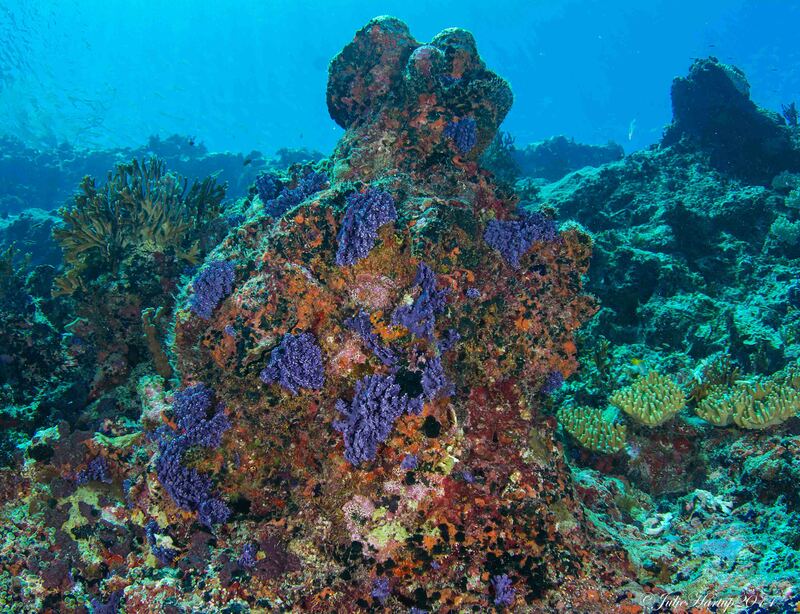 Local legends claim they are the gatekeepers and guardians of the ancient ruins of Nam Madol. This legend might have started due to the third cleaning station located on the reef just outside the entrance of Nam Madol. 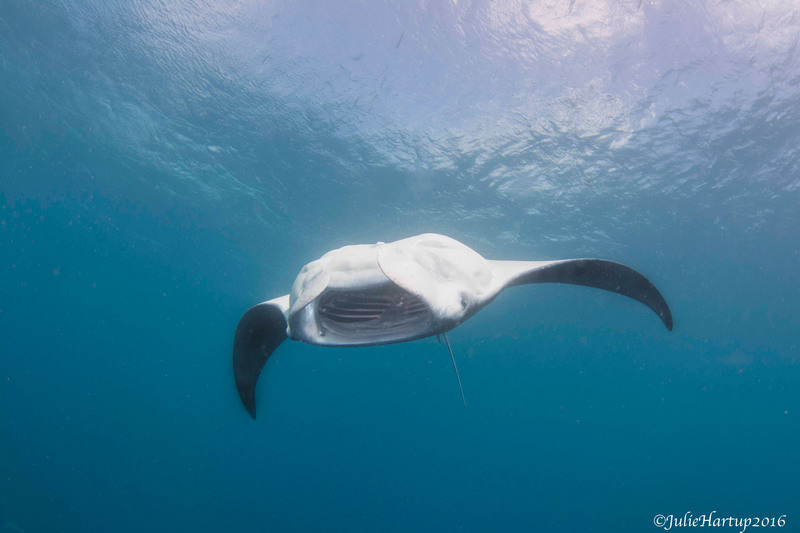 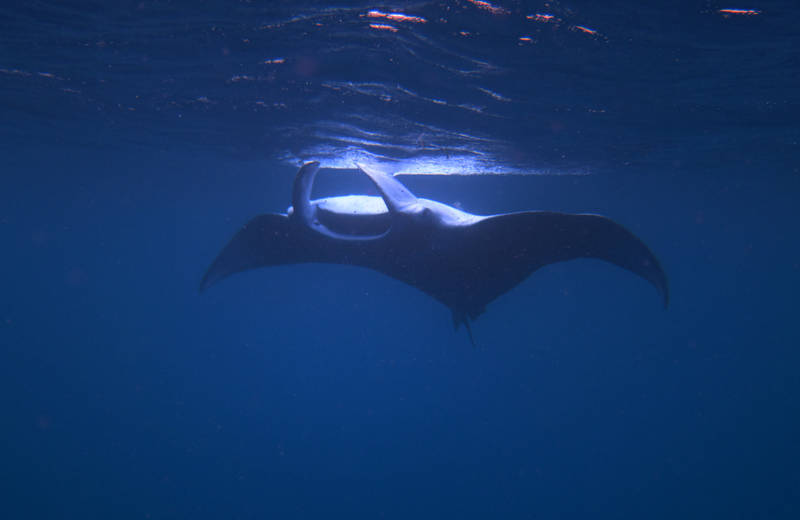 Interactions with manta rays at this site are more frequently with Pohnpei black beauties/ black morph manta rays.